Zuccotto is an Italian dessert with origins in Florence, believed to have been inspired by the city’s famous “Duomo” (cathedral dome). Regardless of its origins, it is a dessert made throughout all of Italy, with each area adding its own regional touch, via citrus fruits, local nuts, chocolate, liqueurs and even the cake used to form the dome, resulting in vary flexible and delicious dessert. Do not be deceived by the look of the zuccotto – it is not the prettiest dessert you’ll see around. The elegance and creativity of this dessert is shown in how it is filled and the skill required to “turn it out” onto a serving platter, the final decorative touches and flavour …. all things you will want to show off to your guests as they will not believe you have made the dessert yourself without breaking a sweat. As mentioned above, the variations of this dessert are many and once you’ve learnt the basic steps you really can make it your own. 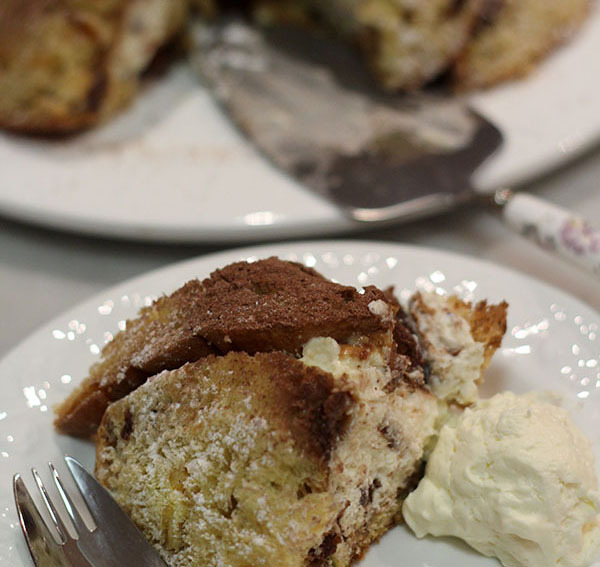 My version uses panettone and quality ingredients. The decision in what to use in the filling is really the hardest part of this recipe. 1. Line a deep bowl, approximately 15cm in diameter, with clingwrap ensuring all parts are covered and allowing excess over the sides. 2. Place the ricotta into a bowl. Add the cream and sugar and gently mix with a whisk until creamy. 3. Add the candied fruit and chocolate and mix well. Set aside. 4. Line the bowl with the slices of panettone, starting with a round disc at the bottom and the long slices along the side of the bowl. 5. 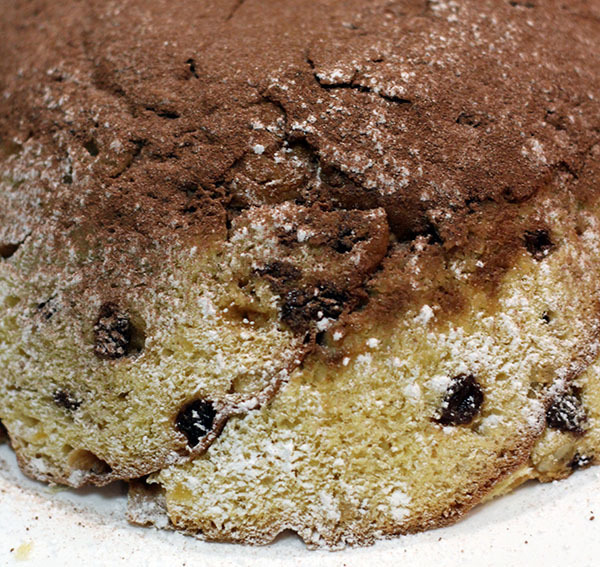 With a pastry brush, brush the panettone with the coffee to moisten the cake. Fill the cake with the ricotta mixture, place a layer of pistachios on top and cover with the final panettone disc, brushed with the remaining coffee on both sides. 6. Wrap the overhang of clingwrap over the top of the zuccotto and place a plate with some weight on it, such as a bag of rice or sugar, on top. Refrigerate for at least 5 hours. 7. To serve, unwrap the clingwrap, place the serving plate onto the zuccotto bowl and turn the cake upside down onto the plate (if you’re doing this in front of friends, add an “et voila`” for dramatic effect). Carefully remove the bowl and clingwrap and dust all over with lots of cocoa powder and a sprinkling of icing sugar. This zuccotto can be kept for several days in the fridge if well wrapped.